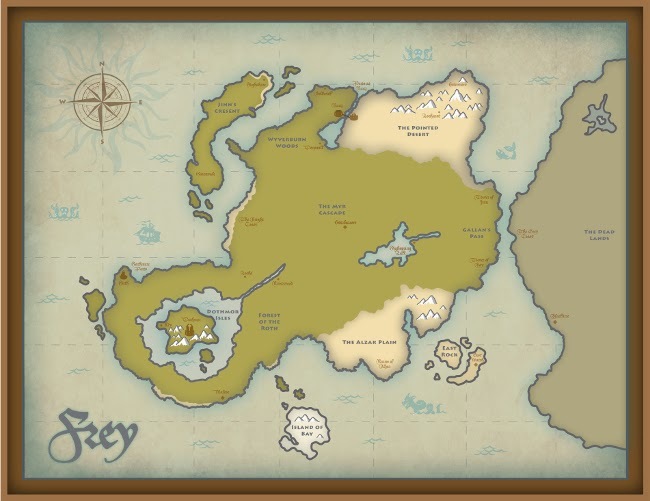 This is a Map of Frey that Dave created using Illustrator. Follow the tip of the mountains and go West. The town along the Northern coast, close to the large island, is Bellwick.